Together with a lightweight shirt you’ll need something lightweight to cover your legs - unless you like sunburn, nettle and mosquito stings, and dust - lots of dust because you are so fast & light! Pants =/= Pants. I didn’t think so in the beginning, but have realized through much experience since that lighter pants are a lot more comfortable than “heavy” pants. I don’t have objective proof that they make you hike faster and better, but a well fitting, light pants just makes the hiking in my experience more comfortable. 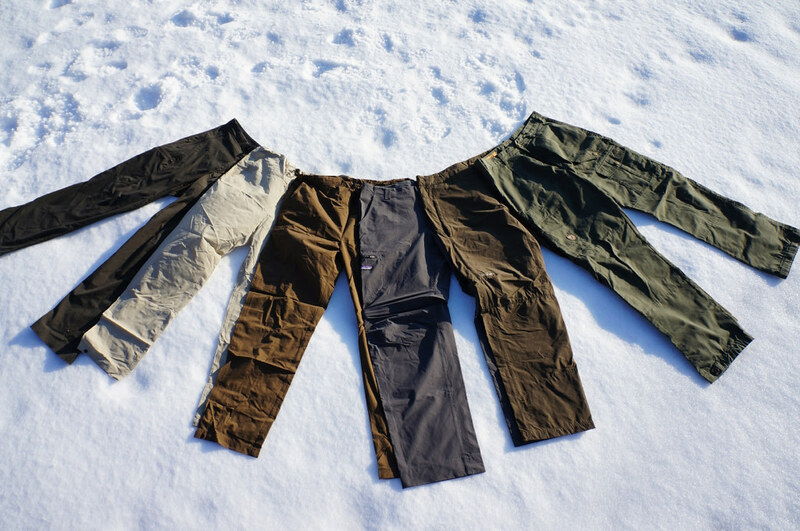 All pants underneath I have picked with durability, windproofness, comfort and quick-drying in mind and they’ve seen years of use, so if you’re looking for a new pair of pants - check these out! More photos of all pants on Flickr. My go-to pants since they arrived three years ago. Have they held up well in those years? Absolutely. The only damage to them is a tiny burn hole in the leg as I was sitting too close to the fire and a spark burned through it, but other than that they’re still in tip-top shape. And I haven’t been kind to them: Backpacking, bouldering, climbing, bikepacking, hiking, and because they’re so comfortable I’ve also worn them during “normal” activities whenever I could get away with it. All pockets are zipped which is superb, because that way your phone, wallet, keys and whatnot stays inside and doesn’t fall out of your pocket while you hike, run, climb or sit. They are absolutely windproof, dry very quickly, are a slim fit and very minimalistic in their appearance so fit well under a pair of rain pants. 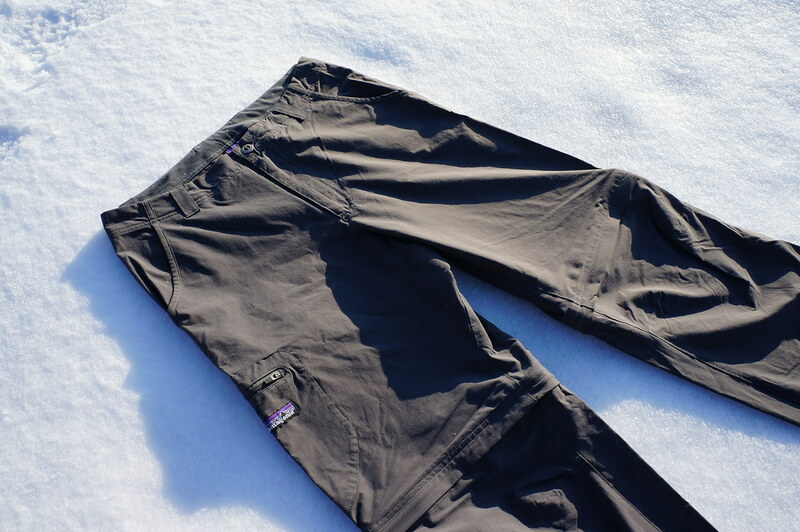 The Thorofare pants get’s a honourable mention - not because it’s the lightest pants I own, but because it ain’t available anymore (unless you happen to pick one up on Gear Swap). Windproof, light like a feather, quick drying, two pockets and two cargo pockets, and an elastic “belt” to keep the pants up (don’t overload those pockets thus). In hot environments where there’s no wind going they might be a tad hot, but other than that they’re excellent. If you can get your hands on one, get a pair for those SUL trips where the lightest pants is what you want. The second-most worn pants, the Rab Traverse pants also sports zipped pockets, which in my book is always good as it is just a bit safer. It has a push-button closure, which is very comfortable and is bomb-proof. UPF 35 gives plenty of UV protection for your legs, and if you only carry one pant and want to wash it on the trail - the Traverse pants will be dry again in no time. 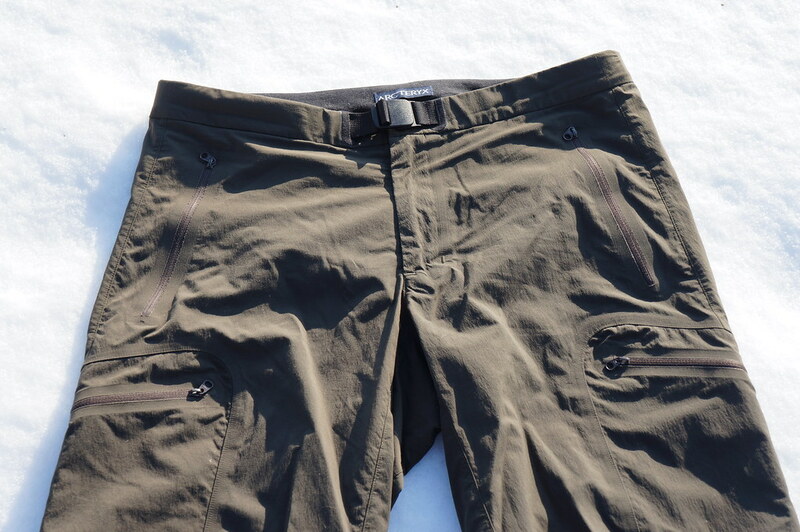 A very comfortable fit that’s also excellent for acrobatic climbing moves, this is a pants that is great in the backcountry as well as in town. A Zip-off pants? Yes! Why? Because in very hot & humid environments I like shorts. So instead of trapping my athletic calves in polyamide, I let them taste the sun and wind. It’s getting too windy? Just zip them back on. Patagonia was extremely smart when making the zippers for this pants: They’re two different colours, so no more mixing up left & right legs. 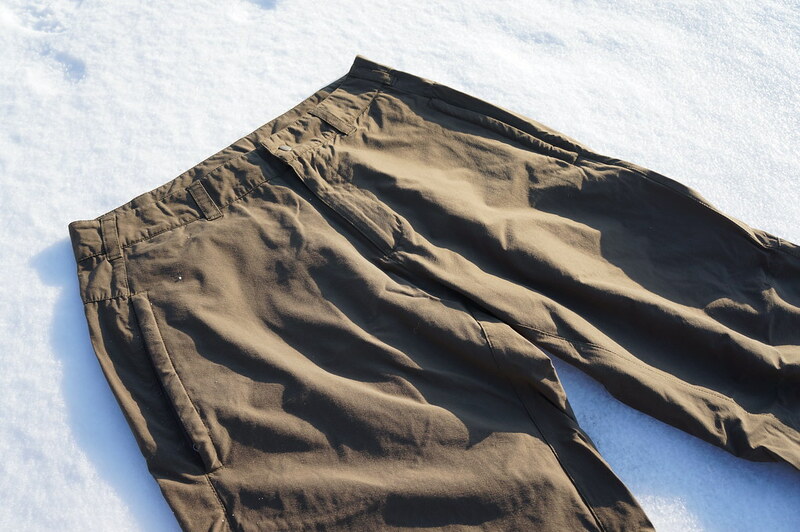 Also this pant is durable, windproof and dries very fast, and if you walk a lot in environments where the weather lets you wear shorts during the day while in the evenings a long pair of pants is preferable, check these out. 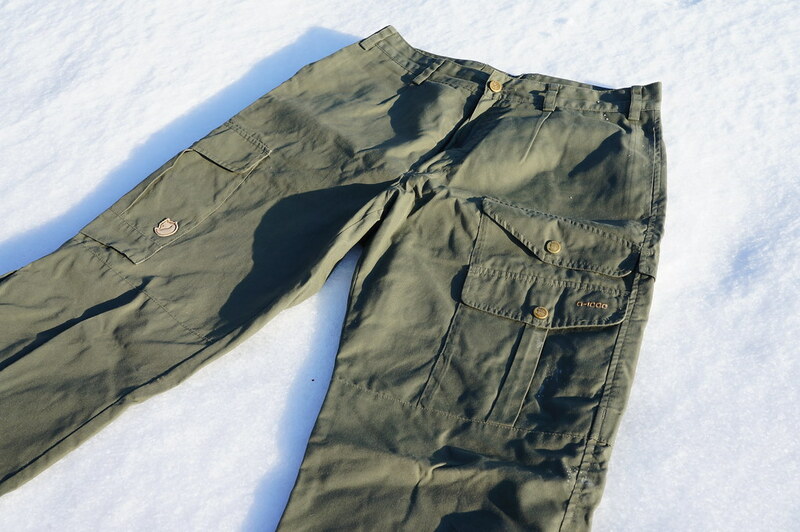 Fjällräven pants? Yes, because I still own a pair. 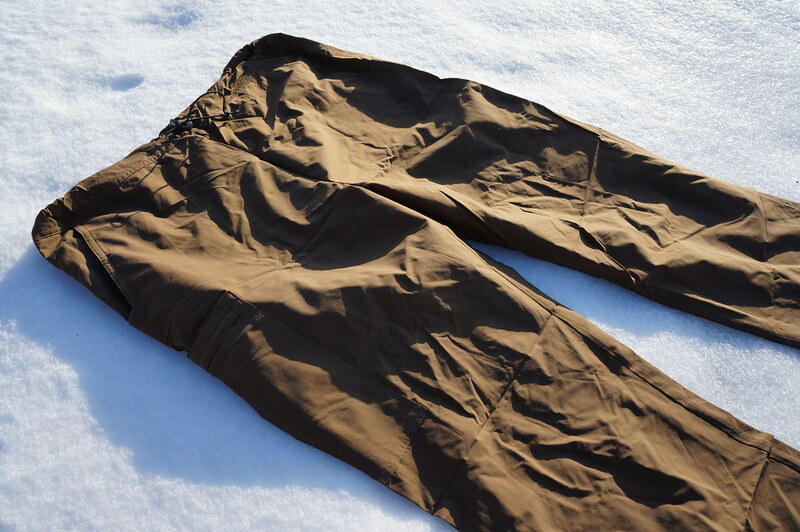 The defacto standard trouser for the outdoors man & women population in Scandinavia, it feels like it’s the pants you gotta wear when you go to the Fjell. I thought so too when I was a young grasshopper, but not anymore. If you waxed them before you head out they’re OK waterproof-ish, though they will soak through in a deluge just as much as the other pants above. And then they need more time to dry. They got seven pockets, which would mean an SUL backpacker could just carry his gear in this pants. I also needed a belt with these pants, as the sizing of them is even in the smallest size too big for me. There are a lot more pants - but I haven’t worn them and hence can’t judge them. The most worn ones for me are the Arc’teryx and Rab pants, as I like their zippered pockets, I know that they’re super-durable and allow enough movement for climbing and bouldering, they’re windproof and dry quickly if they get wet. Oh, and they look both also rather good! What are your favourite lightweight pants?